Thank you for your registration in Jobs100 and for the fact that you trusted us as intermediaries! Basically, it is considered that your qualification, experience and motivation RESPOND to the vacancy you are applying for. You are confirming that statement by registering with our website. In case that it does not respond to the above-mentioned, please, notify us, so that we could stop processing your application temporarily. It is important to be stated that our cooperative work is based on dual interest for the both parts. You are interested to start a legal job in the European Union and we, on the other hand, are interested in getting our remuneration from your job transfer there. Of course, we have to invest first before we get out profit. Please, be informed that finding an European employer, ready to accept candidatures from your country is not an easy job to be done. There are lots of preliminary made conversations and correspondence with various employers, most of who are saying "no" at the beginning. After all, in your case we are even not sure that we will have a positive result at all. Our experience indicates that (sorry to say that) everything depends on the circumstance and the possibility your candidature to be "sold out". In case everything develops favorably, there is an option for the employer to hire you under employment contract and then the departure abroad usually is within a month. There is also another option - the so-called "professional education", in this case, the departure actually is after a week. In this case, your status will be of an employee of a company from your country or of an employee of a company from another country, who will be send in the employer company on a business trip for training purposes. The social security is paid in your country and is considerably lower than the ones in Europe and this makes this work category particularly attractive to the foreign employers. "On the job training" can last even a year. Practice indicates that usually the "trainees" sign normal employment contracts with their employers and thus remain to work in Europe completely legally. Of course, during the "on the job training" process, the status is entirely legal and the payment normally is the same as on a work contract. We would like to remind you that our preliminary work regarding your application is oriented to an offer same or similar to the offer of the EMPLOYER INDICATED BY YOU INITIALLY (the offer which you specified). So, in the job offer, you may read the WORK CONDITIONS AND PAYMENT for the job, which will be potentially provided to you. As we have not received your recommendation as stated in our previous letter, we will make an evaluation of your work potential and will send it instead of a recommendation to your potential future employer. Why is the recommendation so important? The European employment system is almost entirely based on the system of recommendations. The employer trusts only employees who are capable of presenting a good recommendation. It is very frequent that letters of recommendation are checked for their truthfulness and authenticity. It is very important and in many of the cases it is of crucial importance to reply affirmatively when an employer requests confirmation for the authenticity of the recommendation. We attached your personal email to the details of the party issuing the recommendation. In other words, there is a possibility that the employer sends a letter to your email, in order to check the truthfulness of the recommendation. In this case, please, plan accordingly so that the employer gets a confirmation reply by all means. - Upon processing of your details, there follows a conversation with the employer, from which we will get to know his/her attitude to your application. - if the employer says "OK" to your application, he/she will indicate what documents are necessary individually in your case. - follows preparation of the required documents plus a registration in the foreign state work force office (according to our work principle). It is your responsibility to get through this stage. In case, you cannot manage by yourself, it will be necessary to use the services of specialized companies. We recommend using companies that provide the whole package: the official documents, plus the official state form for obtaining of work permission, as well as the forms and papers filled in with your details, which will be necessary after your arrival abroad. These may be the registration form for the police office for getting permanent residence, for registration in the tax department and for obtaining of a social security number or the so called "work card". The prices of all these documents range about and less than 50 euro. - Upon successful completion of the first stage, there follows departure and job start. Plane tickets are covered by the employers. Sometimes this is gratuitous; however there are cases when the employer might cover the ticket price by small installments from your initial payment. Of course, we will be with you and will cooperate with you with information and particular activities in each of the stages. In this stage, it is of main importance to provide as much information about you and your work potential, your skills as an employee, your level of future adaptation and so on. Each stage is important, but we are now, according to us, in the phase when a determining evaluation will be given for you. So, it is of main significance to complete all required steps, as well as possible and within normal timeframe. Our experience indicates that usually these efforts are rewarded. We really hope to receive from you as much cooperation as possible, and at the same time, we would like to assure you in our readiness to react quickly and effectively regarding your application. Before that we have to be sure that our messages reach you by all means. As per our experience sometimes it does not happen. A significant part of our applicants register in a dozen of job sites together with their registration on www.All-aboutJobs.com. The things spin out to the extent that it is hard to pick out the real serious proposals amongst the non-effective or least-effective attempts of recruiting. It is not a secret that a part of those jobsites aim at grabbing money from the applicants only: "pay ?300 in advance" or "your job is 100% guaranteed but you have to pre-pay your accommodation in the hotel"… (there is no practice to pre-pay your hotel reservation in Europe) and so on. Unfortunately, our applicants receive messages like those together with our e-mails. There is a real danger some of our messages to be missed amongst all this stuff. Our e-mails are really important! Most often they are a result of hard work done by the team dealing with your job transfer. Sometimes, they do not bring good news (like in cases of a negative reply form the employer) but there are also favourable messages concerning a positive development of an application. In case we are sending a long message or one containing attachments (there are often work invitations, employment contracts, work visa obtaining guidelines, etc.) it is often placed in your "bulk mail" folder ("spam folder") because of the shortcomings of the spam filter, and in most of the cases it stays unread there!!! Ultimately, it turns out that the applicant misses his/her opportunity and all our resources invested in his/her candidature are lost for nothing; we also lose our profit which is to be paid by the employer when hiring our applicant. In order to solve this problem, we have a practice to publish your new messages on your personal profile first; it is located on the following link: http://superzaplata.org/login.asp?l=en. The system is designed to send the messages to your e-mail automatically if you do not read them within three days after it’s publishing on your profile (practically, it is not very efficient to wait for the e-mail – it reaches your “spam folder” most of the times because of its length together with hundreds of other spam messages. It is almost sure that you are going to miss it). Please, check your personal webpage on http://superzaplata.org/login.asp?l=en regularly for new messages from us so that our correspondence to be safe. At the end of each message we shall try to indicate the term in which you are going to get the next one. Our correspondence is really important – from this moment on we are staring a serious and, we hope, successful process of giving currency to your job application. NOTE: Please, add our e-mail INFO@BESTJ0BS.COM <office12@EuropeEngland.com> to your address book. This way our messages will reach your inbox most probably. Make sure you are adding particularly INFO@BESTJ0BS.COM <office12@EuropeEngland.com>(and not some other one). Our next message will be published on your profile in about 2-3 days. If unread in three days it will be e-mailed to you automatically (you should check your bulk mail folder as well). In case you do not want to receive messages from us any longer – you are rejecting our service for one reason or another - please, send us a blank message to: INFO@BESTJ0BS.COM <office12@EuropeEngland.com> with subject “REJECT”. You will be replaced from our transfer list and our correspondence will be stopped immediately. Thank you! We would like to inform you that we work intensively about your application and we expect to achieve a successful result. This is to inform you that in your case you need to pass a particular stage which is very important. As a result of a preliminary consultation, it has been concluded that it will be suitable to go through an examination (we will call it an interview) which will be conducted online. We would like to ask you to prepare yourself as you will be asked professional questions during this interview. Unfortunately, we cannot tell you in advance the type of questions themselves. The online interview will be conducted in preliminary arranged time which is convenient for both parties. You will be heard excellently during the interview and in case you have a web camera, the interviewer will be able to see you. After a couple of days (it is even possible during the interview), there will be a final answer regarding the development of your application at this stage. What are the practical steps to be taken in order to technically realize the pending interview? 1. If you decide to take the interview from your computer you should have a microphone and speakers (or a headset). You should have YAHOO-messenger program installed, which will allow the conducting of the conversation. In case you do not have this program you can download it and install it completely for free from. Instructions for installing. After you install it, set up your own account which you should remember. The conversations via YAHOO-messenger are completely free, regardless of their length. 2. If you decide to take the interview from an internet cafe, you should make certain that the cafe is quiet and the atmosphere will allow the conduct of a comfortable conversation. - please, state a time which is convenient for you within today or tomorrow. - write us the YAHOO-messenger account to which the interviewer should contact you. - in case you are not able to attend the interview , for one reason or another, please, let us know. Then we can discuss your case with the interviewer in order to find another suitable form of your skills verification. Upon receipt of your letter, we will specify the exact date and time with the interviewer, considering the information you have provided and will confirm. We would like to ask for your understanding that we are unable to provide you with the name and telephone number of the employer for whom we are processing your application. This will potentially happen after you successfully go through this stage. The employer's name and address will be written in your official documents, which you would potentially have to send personally to the employer's company. However, before we reach this point, which we sincerely wish you would, we wish you successful presentation, lots of courage and luck! 1. If you cannot take an on-line interview, please, notify us. It is better to come for live chat with us (on yahoo messenger; our ID is office12uk ). 3. You should have available a computer with speakers and microphone (or a headset) from where you will speak. It will be great if the computer has a web camera either. 4. Inform us about your most convenient date and time (within today or tomorrow) when you can attend the interview. It should be between 8am – 2.30pm GMT (London time) excluding Saturday and Sunday. 5. You may use any computer, as long as it is connected to the internet (the internet connection should be about 3K international traffic). You may use a computer at an internet cafe or a computer of a friend of yours. You will get detailed instructions when you call. NOTE: Please, add our e-mail <service@jobsterEurope.com> to your address book. This way our messages will reach your inbox most probably. Make sure you are adding particularly <service@jobsterEurope.com> (and not some other one). We would like to inform you that there is no way to process your application further without getting the full picture of your working skills and potential. Since you missed the opportunity to attend an interview (it could not be rescheduled in your case), upon discussions with the competent party (persons, who would interview you), we decided that you needed to fill out a test. Passing the test will be combined with filling out a detailed form, which will complete your profile with us, containing your work experience, education, qualifications, etc. In your case, the lack of interview can be compensated to a full extent with the submission of detailed information about you along with test answers. Practically, this will be sufficient to outline the path of your application. We would like to emphasize that the requested details are of exceptional significance to your application for a job in the European Union. 1. What type of job are you holding at the moment? Name of present / last employer? 3. What are the disadvantages of your present job, things you do not like about it? 4. What is your philosophy / attitude towards work? 6. What would your co-workers say about you? 7. Do you apply the skills and knowledge learnt at school in your work? 8. What do you find more useful in your present work – your education or your practical experience from previous jobs or traineeships? 9. What have you done to improve or develop your knowledge / professional qualifications in the last year? 10. Do you remain in good relationship with your previous employer / company where you no longer work /? 11. What was the reason for you to quit your previous job? 12. Have you ever been asked to leave a position? 13. What are your expectations from this possible relocation to Europe? 14. List 3 of your strongest points as a worker? 15. List 3 of your weakest points as a worker? 16. What do you consider to be your greatest achievement so far and why? 17. What is the thing that can disappoint you while working for a certain employer? 18. What is the thing that might make you happy at your work place? 19. Are you a team player? 20. Do you adapt easily to new environment, job? 21. Are you able to work under pressure? 22. Are you willing to attend trainings, learn new skills and develop as a professional? 23. If you had enough money to retire right now, would you? 25. Are you willing to work overtime? 26. When will you be ready to start working? Please don't use very lond descriptions. Personal skills and competences: Please don't use very lond descriptions. You can expect the reply within two-three days after getting the above-mentioned documents. In this regard we would like to ask you to check regularly your messages in your personal web page every two – three days, after you send us the necessary information. In conclusion, we would like to emphasize the exceptional importance of the present stage of your application. You would assist for its successful overcoming by filling in and emailing us the required details for your work potential. The result will come within several days – so please check regularly your personal web page. Thank you for your cooperation and we wish successful work. NOTE: Please, add our e-mail INFO@BESTJ0BS.COM <service@jobsworks.biz> to your address book. This way our messages will reach your inbox most probably. Make sure you are adding particularly INFO@BESTJ0BS.COM <service@jobsworks.biz> (and not some other one). > Kindly confirm your interest in the services we provide. If we do not receive your confirmation within three days your application will drop from our transfer list. > In case you want to resign your job application in the European Union, we consider this is our last mail addressed to you. > We wish you all the best and good luck in your future endeavours. We have wonderful news for you: we have achieved an “OK” regarding the acceptance of your application! In other words, we are extremely happy that you have successfully passed through this very important initial stage. - an immediate task to prepare, together with you, a perfect set of documents, needed presently by the employer. This will also be necessary considering the employer’s potential actions regarding the submission of your application in the relevant state services for work permission issue. Preparation and provision of all work permission issue-related documents, expected from the worker, saves time and hopefully will facilitate the decision making process. Let us remind you that due to the high state fee, paid for joining of a foreign worker, some employers give up filing even at the very last moment, although they have initially confirmed their intention to submit the documents. We hope that your case will not develop like that. So - we have the task to prepare together with you a perfect application set, containing all necessary items. Your documents should be accurately prepared, featuring all required information. The work permission acquisition forms should be filled in the sections, relevant to you (the worker). It is commonly accepted to also enclose a letter of motivation (it is a standard procedure - all that makes a part of the applicant’s file kept by the 'Human Recources' Department once the applicant starts working). According to the preliminary requirements, the letter of motivation should contain the number of your registration in the state work force office - it should be written in bold font. We would like to remind you that the state work force office registration is a preliminary requirement, which is mandatory for all our users. This is a free procedure, which is accomplished by you personally or through companies, specialising in provision of such services (here bellow in this letter, we will enclose contacts of a few companies, regularly used by our users). We believe that one potential registration in the state work force office will facilitate the particular employer. After a given application is listed in the database of the state work force office, it becomes OFFICIALLY PRESENT on the labour market, it becomes legitimate. It results in a situation where the state work force office itself is the institution which offers the particular worker to the employer. 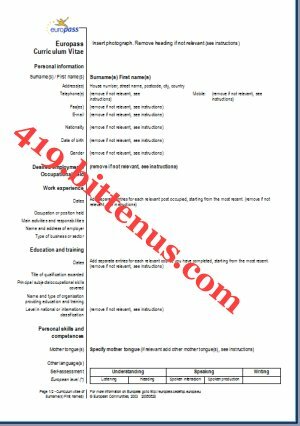 This exact information is FILLED IN the relevant official documents and sections (the different administrative offices handle it differently). At some locations, according to the current situation on the labour market, the employer could even benefit from this - a discount or even waiver of the entire fee for the work permission issue for a foreign worker. This will save considerable expenses to the employer. Considering this, the registration is an obligatory condition (after all, the procedure is easy and can be completed within one-two days). We enclose a few companies, which have been used by our users many times and which provide this registration for free. Some of these companies offer combined services, such as preparation of documents, services for work visa issue, registrations in different state offices, etc. Subject: Registration in the state work force office. Application to work in Ireland. Your company was recommended to me as a provider of services for registration at the state work force office, in the category 'Foreign workers'. Could you please send me further information or proper documents (forms) which I should fill in, as I wish to obtain such registration through you. I already have an employer in your country, with whom I intend to submit my documents for work (application). Thank you for the kind attention in advance! 2. After you receive your state work force office registation NUMBER, please, proceed to fill in and format the documents, which should be submitted with the employer. We would like to remind you that you could download the documents from the already mentioned link. Please enclose a letter of motivation, containing the state work force office registration number written in bold font. - The first step to be accomplished is to acquire a number of your official registration in the state work force office. You could obtain it on your own or using one of the quoted companies, which complete such registrations for free. For this purpose you should send them same or simular to the suggested text. - After you obtain your personal registration number in the state work force office, accurately fill in the documents, which will make your official application package complete. Also, enclose the motivation letter, in which, apart from its motivational part, you need to fill in bold font your personal registration number in the state work force office. - please, print them on high-quality paper and send them to the employer via post or courier. We would like to remind you that the plane tickets are usually paid by the employer. He could do this absolutely free with no further obligations or, for example, deduct the amount on small instalments from your initial salaries. As our organisation has the opportunity to welcome you in Ireland, our representative will meet you at the airport upon your potential arrival. We wish you to reach this stage successfully! Of course, it is important that we make together all little preliminary steps, necessary and expected from us to be completed. Subject: Re: Registration in the state work force office. Application to work in Ireland. We are a European company and our branch office was registered in the town of Plovdiv, Republic of Bulgaria in 1995, Our registration number (BULSTAT) is 115912975. Our company is a popular administrative service provider in Great Britain. We provide administrative, legal, technical, certification and translation services for European Union citizens, willing to work in another EU country as well as for citizens of other countries (as it is in your case) who are willing to obtain the right to work and live in one of the EU countries. We would like to add that our company has good reputation and is known as a correct and reliable partner. We have official state registration (license) that gives us right to handle personal information. This guarantees you that if you potentially give us your personal information, and the Law will protect it. We have solid experience in the sphere of documents preparation services – AF, work permissions for SELF-EMPLOYER activity (that also gives right to work under regular work contract), documents for permanent residence, obtaining of residence card; family reunion and other administrative services – for all European Union countries. We complete services for obtaining of National Insurance number, registrations in the state work force office, opening of bank accounts, registrations in the revenue service and etc. Some of these services we do even for free – for current or former customers using our other services. We serve applicants of reputable and well-known jobsites. We are capable of completing your potential order in about one work days. We guarantee that your documents will be prepared with excellent quality, observing the current European Union standards. 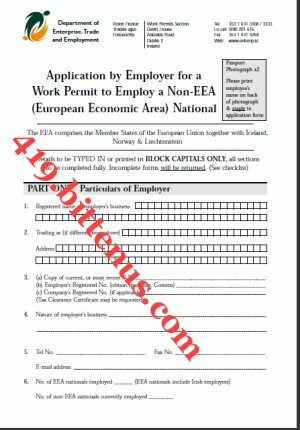 The price of the complete application package is 29 pounds (32 Euro), which includes preparation and formatting of a motivation letter, graphic styling of a European format CV and filling in of an AF (application form) for obtaining of work permission. In case you use our company, we will register you in the foreign state work force office as a bonus. In order to have your documents package filled in and in case you delegate this order to us, we are ready to contact your recruiter and request yours and your employer's details and fill all this information in the corresponding sections. Bank account of PALMEINT Co..
You may make the bank transfer from any bank in your country. It is necessary to make certain that you name is written in as a "payer" in the corresponding bank document. their quality will be the highest). When you arrive in the Western part of the European continent the additional services included in the pack will be provided by the company's office in Liverpool, England. do not have such, it will be best to use WESTERN UNION - their fees are significantly lower than the bank transfer fee. In any case, your documents will be 100% filled in and ready to send within two days of receipt of our service fee. The documents will be of excellent quality. have to open a bank account to which the employer will transfer your payment each week. Upon your arrival in Europe, all necessary registrations including opening a bank account will be provided in case you use our paperwork service. The staff of our company, in our Liverpool office, England will complete this future service. That service is included in the package costing 29 GBP (32 EUR), i.e. you will not pay any additional fees. It also includes documents preparation necessary for the work visa. Fortunately, there is a representative of ours in the country where you are leaving for. He/she will assist you with all the administrative issues upon you. The authorities often require additional papers which are also included in those 29 GBP (32 EUR). As a brief introduction we may say that we are a multinational company, based in Europe. If you are interested to use our service, please, e-mail us or chat online with our friendly customer support at YAHOO messenger: translatoren You can also call us at: 00359 887 517531. As soon as you contact us, and with your kind permission, we will get in touch with your job placement agency in order to request the details, necessary for the preparation of your requirements. > We would like to express our hope that your official application package preparation is at its final stage. > Let us remind you that you already have been given particular job offer details and particular limited deadline for the application set preparation. > We have already referred you to use a professional documents preparation agency that can prepare your application set in 1 day. We would like to receive your feedback if you have established contact with this agency and if you plan to use their 1 day application set preparation service. > Meanwhile, we checked with the employer and luckily the job position is still vacant. We would like to remind you that the employer expects you to submit your application package. We believe that your timing is fine and if your documents are completed in the next couple of days, there is a real chance to fit in the deadline.